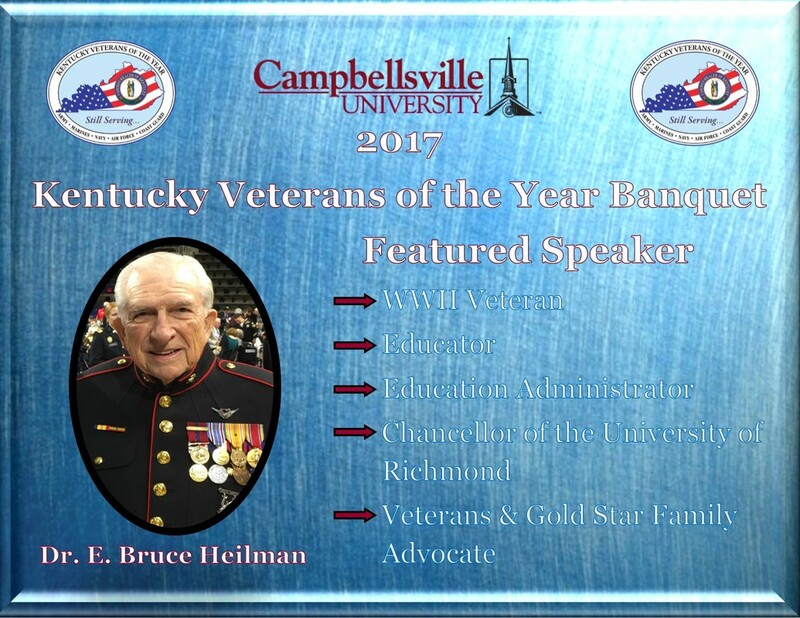 E. Bruce Heilman was born in Smithfield, Kentucky, in 1926. Bruce completed boot camp, becoming the highest scorer on the Rifle Range in his platoon and one of the top three out of 600 Marines. He went on to complete Radio Gunnery School at the Naval Air Training Center in Memphis, Tennessee. From there, Bruce was sent to California for further training. Bruce left San Diego, California, en route to Okinawa--having missed the Battle of Iwo Jima where many of his platoon buddies fought. He stopped briefly in Hawaii, the Carolina Islands, and then laid in the harbor at Okinawa; he arrived during suicide bombing raids on the fleet, after having been subjected to a Japanese submarine en route (which was dealt with appropriately by Navy guns and depth charges). He had his steak and egg breakfast, went down the rope ladder into a landing boat, and landed on the beach with all of the anticipation of a first-time green Marine anxious to get into battle, but uncertain as to the outcome. Bruce’s outfit took over Chimu Field, newly dug out by the Seabees and covered with coral. This airstrip helped to sustain the bombing of Japan. Bruce’s unit had responsibility for defending against Japanese bombers, protecting the base against infiltrators, anticipating and mopping up stragglers, defending the perimeters of the air base, applying learned knowledge in radio gunnery and other skills, and providing service to the air wings. Having been saved from likely death by the dropping of the atomic bombs and eliminating the need to invade Japan, Bruce had a great experience of six months in Japan. He helped transport the wounded, as well as supplies to service the Occupation troops. He participated in the occupation of Japan, flying as Radio operator on staff of the Commander of the Fifth Fleet, taking intelligence persons to Hiroshima, Nagasaki, and all over the Pacific. He also survived an airplane crash on Iwo Jima. Medals received include the Asiatic Pacific Medal with Battle Star, Combat Action Ribbon, Presidential Unit Citation, Good Conduct Medal, WWII Victory Medal, American Campaign Medal, Japanese Occupation Medal, Badge of Honor of the Republic of China. After the war, Dr. E. Bruce Heilman served as Chancellor, University of Richmond, VA 1986-present; Chancellor and Interim Chief Executive Officer, University of Richmond, VA, 1987-1988; President, University of Richmond, VA, 1971-1986; President, Meredith College, Raleigh, NC, 1966-1971; Administrative V.P., George Peabody College of Vanderbilt University, Nashville, TN, 1963-1966; Professor/Educational Administration, George Peabody College of Vanderbilt University 1962-1966; Vice President and Dean, Kentucky Southern College, Louisville, KY 1961-1963; Coordinator of Higher Education, State of Tennessee, Nashville, TN, 1960-1961; Controller and Bursar, George Peabody College of Vanderbilt University, 1957-1960; Treasurer, Georgetown College, Georgetown, KY, 1954-1957; Treasurer, Housing Project, City of Louisville, KY, 1954-1957; Business Manager, Kentucky Wesleyan College, Owensboro, KY, 1952-1954; Assistant Professor of Accounting, Kentucky Wesleyan College, 1952-1954; Instructor of Accounting, Belmont University, Nashville, TN, 1951-1952; Auditor, Albert Maloney and Company, CPAs, Nashville, TN, 1951-1952; Instructor of Business, George Peabody College of Vanderbilt University 1950-1951; Teacher of Bookkeeping, Nashville City Schools, Nashville, TN, 1950.